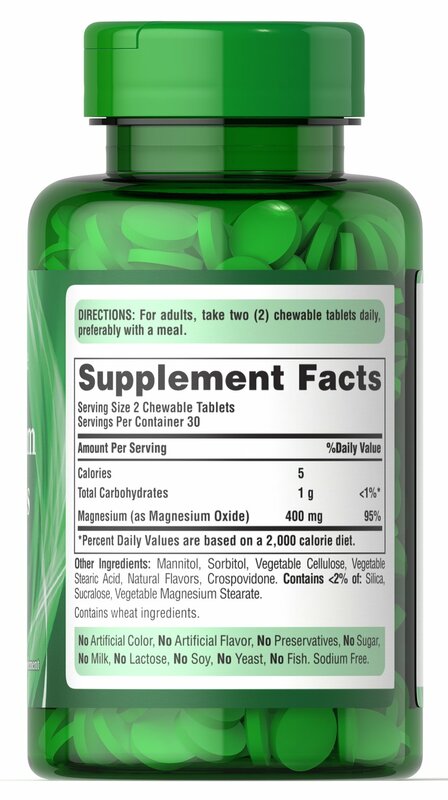 Magnesium offers another option, besides Calcium, for supporting bone health. ** Magnesium plays an essential role in maintaining bone mineralization, and is also involved in muscle contractions and nerve impulses. 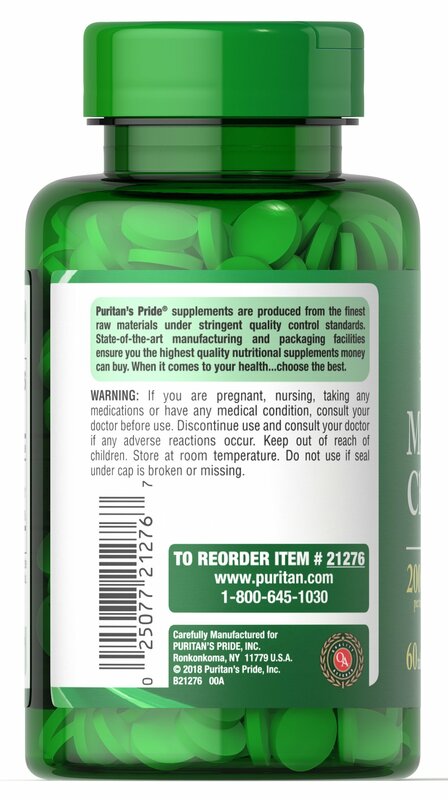 ** Adults can take two chewable tablets daily. 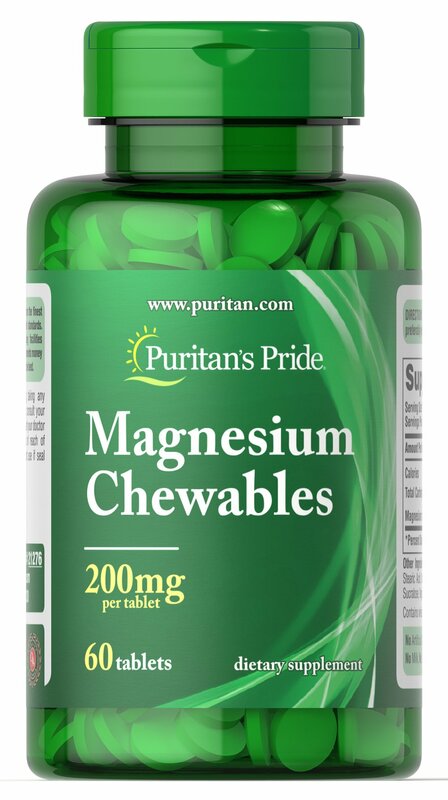 Each chewable tablet has 200 mg of Magnesium Oxide. No Artifcial Color, No Artificial Flavor, No Preservatives, No Sugar, No Milk, No Lactose, No Soy, No Yeast, No Fish. Sodium Free.